Digital India Mission is in full swing. This can only become a reality if all commoners have access to internet. Thankfully, the telecom companies are coming up with new data packs to allure more customers every day. These packs are crafted in a manner that they fulfill the requirements of people from all sections of the society. There is something for everybody. Here are some brands and 4G data package details, which will help you to make a better choice. Since Reliance has launched Jio connection in the year 2016, almost more than half of the Indian population has shifted to Reliance from their existing service providers. With many lucrative offers, biggies like Vodafone, Airtel and Idea failed to match up with Jio plans every now and then. In recent times when Jio started a new Rs. 399 plan for their vast customers’ base, rest of the names have started similar type of plans too. Here is a brief comparison between these leading providers’ plans for the customers. Recently Jio has started a Rs. 399 plan for their existing customers. This pre-paid new plan is valid for 84 days. Before this they have two different plans for the users. Previous Jio Plans: Previously Jio has launched two plans Rs. 309 and Rs. 349 respectively. In both these plans the users will get unlimited calls and SMS. Also it includes SMS and roaming calls as well. With daily limit to 1GB 4G data the plan offers 1 month validity. New Plan: Jio’s new plan comes up with 84 GB 4G data pack. Users can enjoy the 1GB data per day for long 84 days. Along with this, the plan offers unlimited voice call and unlimited SMS (Local and national). The validity of this plan is 84 days which is much more than the other two plans. Change in previous plan: The time period for the previous plans have been extended to 56 days from 28 days after launching this new plan. That means now with Rs. 309 one can enjoy free calls, SMS and roaming facilities for 56 days. Speed in New Plan: In this new Jio plan, like other two plans internet speed will be fine. However the speed will be reduced to 128kbps if FUP is being used. Once the daily limit if data is starts running out, the speed will start reducing too. Vodafone has several plans for talk-time, 4G data connection, 3G data packs, SMS and roaming as well. In a recent time the leading service provider launched a new data pack. New plan for student: Vodafone has targeted students this time to grab a huge number of customers. According to the providers, this pre-paid plan will be helpful for the students as they have limited money to spend on mobile connection. Offers under the plan: The plan comes at a price of Rs. 445. This price is charged only for the first recharge. From second recharge onwards the charge will be Rs. 352 for the users. This plan offers unlimited local calls with unlimited local and national SMS and 84GB 4G data for 84 days. That is users will get 1GB data per day for 84days. Discounts: Zomato, Ola and using other online services bring much discounts / cash backs for the Vodafone users. For some Vodafone users Ola cab services provide cash backs and offers sometimes. Using this new plan might bring more discounts and offers for the users. Other offers: Vodafone is offering First Recharge Coupon at price Rs. 244. Under this coupon, the user will get 70 days’ validity with per day 1GB internet for 4G connections. New Plan: While Jio has started 84 days, 84 GB data packs, Airtel has started the same at same price. At Rs. 399 Airtel offers same facilities like unlimited national and local calls, roaming and local SMS and 1GB per day data for 70 days. Other plans: Airtel offers other plans at different prices that offer 84GB 4G internet pack. At Rs. 293 users can enjoy 84GB net for 84 days on 1GB data per day. This offer includes unlimited free calls from Airtel to Airtel only. 449: In this plan Airtel is offering unlimited free calls to any number (local & national), free SMS and 1GB data per day. To get what Jio is offering at Rs. 399, Airtel users will have to spend Rs. 449 in this pack. When all the leading service providers are coming with similar sort of plans, Idea cellular too is coming up with a new plan. The plan costs Rs. 453/- for the first recharge. That is the user will have to pay Rs. 453/- first and from next time only Rs. 399/- will be charged to continue with the plan. Under this plan, 1GB per day data pack is available for 84 days. Along with this unlimited calls and SMS will be added to the plan. The speed of internet is little slower when FUP is used compare to other service providers. In Idea only 80kbps is offered when FUP is used. Apart from this plan one cheaper plan is available at Rs. 297/- with similar data facilities. 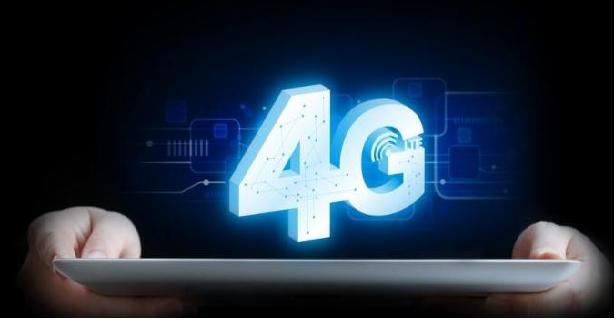 From the start of 2016, we have seen the big players in the telecom and networking industries are gearing up with their 4G plans for the customers. 4G or the 4th generation internet is nothing but improved and high speed internet service gateway, from the existing speeds. The big players out there in the market offering 4G services to millions of customers are Airtel, Idea and Vodafone. Also there are other competitors getting up in line like the mighty Reliance. The 4G internet services are still not totally available in all parts of the country. These companies have launched these 4G services only in selected states. Below are the comparisons of the various 4G internet facilities by Idea, Vodafone and Airtel. Vodafone 4G is the world’s largest network of 4th generation internet high speed connectivity. After it has reached 3G services across the lengths and breadths of the nation, Vodafone has taken up the job to spread the 4G network among its customers. It started its 4G services in the state of Kerala. After that they have started launching 4G data packs for customers of Karnataka. Its cheapest 4G pack comes at Rs. 29 for a 120 MB data which has validity period of 3 days. And the largest package is of Rs. 2,499 for 20 GB of 4G high speed data. Bharti Airtel has the largest network of 4G services provided in India. It has launched its 4G services in almost every major city in every state of the country. With uninterrupted high speed 3G data services, it is current ruling the 4G market in India. The Airtel 4G data packs can be accessed by the customers through their smart phones enabled with 4G. Also there are 4G dongles available in the market launched by Airtel to spread 4G connectivity in the country. One can buy a 10 GB 4G data in Trivandrum for Rs. 1,347. But this same data pack costs a whooping Rs. 1,998 in Amritsar. There are different ranges of products of 4G data packs by Bharti Airtel. Unlike Airtel, which provides 4G internet services throughout the nation, Idea cellular only has its 4G services limited in few states of southern India. The 4G spectrum by the Idea cellular is present only in the states of Tamil Nadu, Kerala, Andhra Pradesh and Karnataka. There are various ranges of data packs of 4G internet services by Idea. Right now there is a limited offer of extra double data with the 4G packs given by Idea. A 1 GB 4g data pack of Idea costs Rs. 249. In addition to this, Idea is giving another 1 GB free under a limited period offer to its customers. Also the price of 10 GB of 4G data is Rs. 1,346 along with which another 10 GB data is absolutely free. So Idea has the lowest rates of 4G data right now compared to Airtel and Vodafone. 1 States where the 4G data services are available Kerala and Karnataka Tamil Nadu, Andhra Pradesh, Kerala and Karnataka. Kerala, Karnataka, West Bengal, Maharashtra, Punjab, Haryana, Andhra Pradesh, Delhi, Tamil Nadu and Uttar Pradesh. The big cat fight is growing more and more between the leading telecommunication providers regarding the rates and the data plans. In this era of online world, where one provider is offering speedy net connection, others are slashing the rates to the lowest level to grab more customers. After the introduction of Jionet connection by Reliance Communication, other service providers like Vodafone, Airtel and Idea make sure to offer much cheaper plans to the customers. The Delhi–based telecom service provider Bharti Airtel lands up with a new data plan “myPlan Infinity’ that allows you to make voice call for free. Also under this plan you can enjoy unlimited music from Wynk Music and Wynk movies. Airtel had launched ‘myPlan’ a long time back, in the year 2013. Since then the plan becomes quite popular as it offered different plans under different prices. The user can easily choose his / her plan accordingly. After 3 years of successfully implemented plan, now Airtel comes up with a revised plan called ‘myPlan Infinity’ that offers huge data plans under 3G / 4G connection. The plan will be available with post paid connection. In the earlier plan, users used to get only two price options under post paid connection. But with this new plan they will get two more options along with the previous ones. These new prices are cheaper and will offer much more than the price you are paying. The lowest pack is of Rs. 1199/- per month. It will offer you unlimited voice calls, STD and roaming calls, 1 GB 3G or 4G internet, 100 SMS per day, unlimited music and movies from Wynk Music and movies offer. Under this pack you can also enjoy extra data packs if needed at the rate of 50 paisa per MB. The second price option is of Rs. 1599/- per month. Under this plan, you will get 5 GB 3G or 4G internet pack with unlimited voice calls (local, STD or Roaming), 100 SMS per day, unlimited music and movies from Wynk movies and music. This pack also allows you to use your data at the lowest cost of 50 paisa per MB. The other two little expensive packs are still in the market that offers 10 GB and 20 GB data packs respectively. According to the spoke person from Bharti Airtel, these new two schemes are launched for those who enjoy calling more than using data packs. At the first place unlimited voice calling will no doubt mange to attract a number of users. Though the rival provider Idea has already come up with similar plan of unlimited voice calls and 500 SMS per day in just Rs. 999/- per month, the network issue with Idea still remains the same. In recent times Airtel launched the ‘open network’ plan where users can check the nearest Airtel tower for network connectivity. This will definitely make a difference to the plans as people now hopeful about the network of Airtel. The plan seems to be worth other than the Rs. 1599/- plan. To compare with Rs. 1199/- plan, one will pay extra 400 bucks to get 4GB more data in a month. This seems to be little expensive as Rs. 200 will be enough for this extra portion of data connection. Under this plan if the user runs out of data, he can use additional data in just 50p per MB which is quite cheaper than other providers. Other than this the plan overall looks convincing and cheaper. Though other service providers are coming up with new and cheaper products but their connectivity and network issues are helping Airtel to grow more. With their attractive and promising 4G connection and now ‘open network’ plan, the company has already gained quite a wide range of users. On the other Reliance is all set to give a tough competition to Airtel with their Jio. In a couple of months we will get to know who wins over who in this tough cat fight.